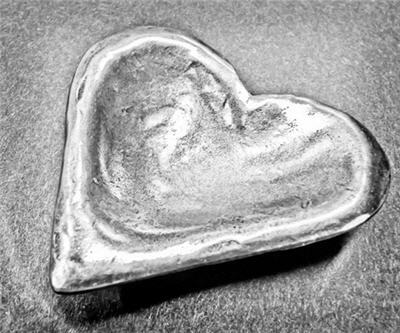 Coeur Mining (NYSE:CDE), the largest US-based primary silver producer, has missed its silver output guidance for 2013 – as some analysts were predicting. However, the company also exceeded its gold output forecasts, resulting in a record year for gold production. The miner will also take a $770 million non-cash impairment charge to reduce the carrying value of its Palmarejo mine in Mexico and its Kensington mine in Alaska – largely a result of declining gold and silver prices. Full year silver production was 5% lower than the low end of the guidance, due to slower than expected leach recoveries at the Rochester mine in Nevada, the company explained in a news release. At 17 million ounces, 2013 silver output was 6% lower than in 2012. Gold output in 2013 totalled 262,217 ounces – a 16% increase on 2012. In the last three months of 2013, gold production was up 27% quarter-on-quarter, driven by strong results from Kensington. Last week Dundee Capital Market analysts predicted that most silver producers would report production results in-line with guidance, though they singled out Coeur Mining as an exception, Mineweb reported. For 2014, the miner has set a production guidance range of between 17 and 18.2 million ounces of silver and 220,000 and 238,000 ounces of gold. "Our 2014 production guidance reflects a prioritization of `quality' of production ounces versus `quantity' of production ounces," CEO Mitchell J. Krebs said in a statement. "During late 2013, the Company decided to defer development and production from the Guadalupe deposit at the Palmarejo silver and gold mine in Mexico based on this approach. We expect to replace these ounces with higher margin, lower-cost ore sources during the year." In terms of cost cutting, Coeur reduced planned capital expenditures by about 18% and eliminated approximately $6 million worth of early-stage exploration expenses. “In this kind of cyclical commodities business, no matter where prices are, we always need to focus on reducing costs. It’s the one thing we have a little bit of control over,” Krebs told the International Business Times last week. Krebs said the company was already reducing costs when the precious metals prices began their major decline in April, but that it went even further as a result. “There’s nothing like a good price decline to instill some urgency in people,” Krebs told the Business Times. Coeur was trading up on Friday at about $11.20 per share after gaining 2.5%.